Ask.com is returning to its question-and-answer roots, testing out a new service which seeks human help in order to answer your tricky questions and queries online. Embracing social networking, the new Ask.com lets users submit questions to other visitors, no longer relying on computer algorithms to provide answers. Ask.com currently only has a mere 3.6 per cent share of the US search market, according to analytics company comScore. The latest initiative may well prove to be a way of distinguishing itself from rivals such as Google, Microsoft and Yahoo. "Today we've officially launched the public beta for the new Ask.com, which combines our proprietary answers technology (specifically tailored to extract questions and answers from the Web) with the human insight of the thriving Ask.com community drawn from our 87 million monthly uniques," notes a post on the Ask.com blog. The new service is currently available on an invite-only basis (invites available here), with the company claiming that, "the capability to pose questions to real people is now possible for those complex, subjective and/or time-sensitive queries that, no matter how advanced, computers simply can't address. 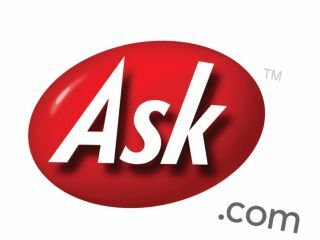 "That means that Ask.com is now uniquely able to offer the most comprehensive and convenient approach to getting answers, combining pages and people to help users find the answers to all questions – even questions for which no answer is published online," continues the Ask.com blog post by Tony Gentile, SVP of Product & Lisa Kavanaugh, SVP of Technology. "Why the re-energized focus on Q&A? From a macro trend perspective, the explosion of the social Web underscores both the cultural shift and massive technical innovation of the last 15 years. "Simply put: people are using the Web as a conversational medium, ergo, consumers are increasingly asking questions (evidenced by demonstrated interest in Q&A from Google, Facebook and an entire cadre of start-ups)." Google currently has a 62.6 per cent share of the US search market. Yahoo and Microsoft have market shares of 18.9 per cent and 12.7 per cent, respectively.